Big day at Balance HQ with some of the original crew and a ton of cool new guys. Great Jiu Jitsu Team. 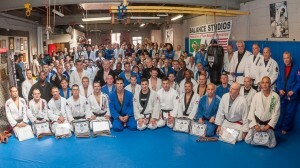 Tons of BJJ Black belts. Hart BJJ, Boxing and MMA is known as Conshohocken’s premiere Martial Arts Academy and was started from the Team Balance roots. Team Balance was established by Phil and Rick Migliarese 2002. 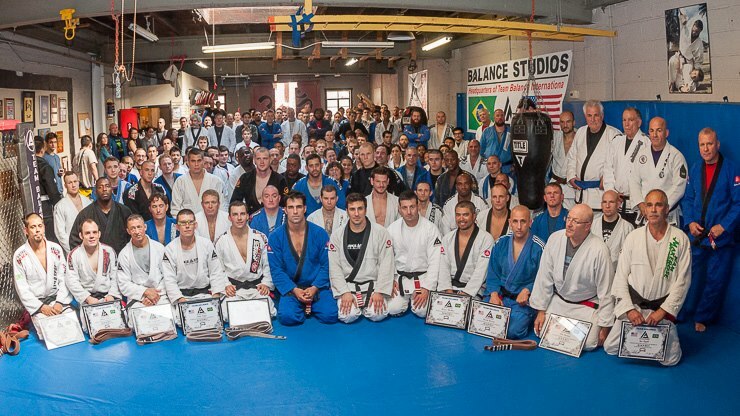 Now with vast martial arts academies and an ever growing team of likeminded individuals, you can easily look below and find a quality, certified and true jiu jitsu and martial arts academy. You cannot go wrong with training at one of our friendly and professional academies. Hart’s Academy Instructor Timothy Hart, has been part of Balance studios since 2003 and was (and still is) a student, a master of the custodial arts 🙂 , instructor, competitor, intern, a friend/family member and has worked diligently for and with the Migliarese brothers, assisting them in growing such an amazing group of positive, balanced individuals, who take the extra step and go the extra mile in life, to see others succeed. You should check out a school below if you live in the area. Check out some of our Team Balance Family Training academies near you.